It’s a purple people party! 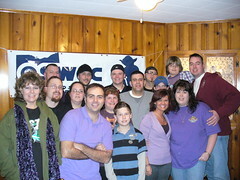 Check out all the pics from the OSWCC North get together for January 2007, right here! North December Holiday Party Photos Are Up! Here’s the OSWCC North Christmas party pics! OSWCC Takes Over Streets Of Cleveland! !